You are welcome to attend in an unforgettable journey through the sky in the OH-FIN Balloon. Pamper your staff or key customers on board OH-FIN. A flight in Suomi-Balloon is a unique experience! Key Group Flight – We’ll fly your Key Groups in the Suomi-Balloon. The flights can be carried out in different localities as agreed. 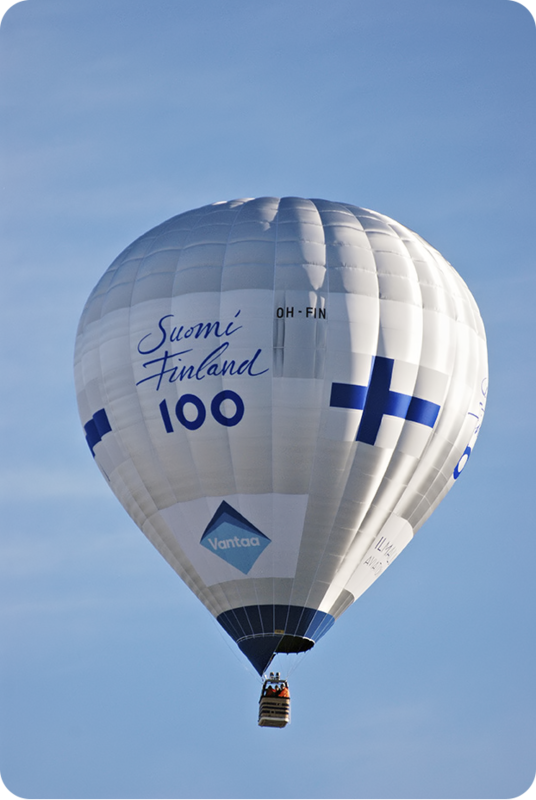 Company Flights – Have the Suomi-Balloon in your own use and take Your employees, key customers etc. with You. The flights can be carried out in different localities as agreed. The Celebration Flights are outstanding as well. Would You like to have a birthday party high above your town, or celebrate Your anniversary with an incomparable scenic view?